SAN JOSE, Calif. – June 7, 2016— According to today’s release of the Cisco Visual Networking Index™ (VNI) Complete Forecast for 2015 to 2020, global IP traffic will nearly triple at a compound annual growth rate (CAGR) of 22 percent over the next five years. More than one billion new Internet users are expected to join the global Internet community, growing from three billion in 2015 to 4.1 billion by 2020. The global digitization transformation, based on the adoption of personal devices and deployment of machine-to-machine (M2M) connections will have an even greater impact on traffic growth. Over the next five years, global IP networks will support up to 10 billion new devices and connections, increasing from 16.3 billion in 2015 to 26.3 billion by 2020. There are projected to be 3.4 devices and connections per capita by 2020—up from 2.2 per capita in 2015. Advancements in the Internet of Things (IoT) are continuing to drive IP traffic and tangible growth in the market. Applications such as video surveillance, smart meters, digital health monitors and a host of other M2M services are creating new network requirements and incremental traffic increases. Globally, M2M connections are calculated to grow nearly three-fold from 4.9 billion in 2015 to 12.2 billion by 2020, representing nearly half (46 percent) of total connected devices. The connected health consumer segment will have the fastest growth (five-fold) of M2M connections from 2015 (144 million) to 2020 (729 million).The connected home segment will have the largest volume of M2M connections over the forecast period with 2.4 billion in 2015, growing to 5.8 billion by 2020—nearly half of all M2M connections. Video services and content continue to be the dominant leader compared with all other applications. Internet video will account for 79 percent of global Internet traffic by 2020—up from 63 percent in 2015. The world will reach three trillion Internet video minutes per month by 2020, which is five million years of video per month, or about one million video minutes every second. HD and Ultra HD Internet video will make up 82 percent of Internet video traffic by 2020—up from 53 percent in 2015. With the growing dependence on mobile and fixed broadband networks, security concerns are increasingly becoming top of mind for service providers, governments, businesses and consumers. For the first time in this forecast, Cisco collaborated with Arbor Networks to help quantify the current and future threats of DDoS (Distributed Denial of Service) attacks. DDoS incidents can paralyze networks by flooding servers and network devices with traffic from multiple IP sources. The new DDoS analysis suggests that these types of breaches can represent up to 10 percent of a country’s total Internet traffic while they are occurring. Over the next five years, DDoS attacks are projected to increase from 6.6 million to 17 million attacks. These initial findings underscore the need for more comprehensive security measures to protect data and reduce network exposure to such risks. Global IP traffic is expected to reach 194.4 exabytes per month by 2020, up from 72.5 exabytes per month in 2015. The global annual run rate will reach 2.3 zettabytes by 2020—up from 870 exabytes in 2015. 2.3 zettabytes is equivalent to 12 hours of streaming music per day of the year per capita or 33 hours of Ultra HD video streaming for each person on earth. Busy-hour Internet traffic is increasing faster than average Internet traffic. Busy-hour Internet traffic will grow nearly 5-fold (4.7-fold) from 2015 to 2020, reaching 2.6 Pbps by 2020, compared with average Internet traffic that will grow three-fold over the same period reaching. Across all time zones, “Internet primetime” generally occurs between 9 p.m. and midnight. Globally, 48.2 percent of all fixed and mobile networked devices and connections will be IPv6-capable by 2020—up from 23.3 percent in 2015. Globally, 34 percent of total Internet traffic will be IPv6 driven by 2020. Globally, IPv6 traffic will grow 16-fold from 2015 to 2020, a CAGR of 74 percent. Global broadband speeds will nearly double from 24.7 Mbps in 2015 to 47.7 Mbps by 2020. The way consumers and business users access IP networks and the Internet is shifting from PCs to mobile devices. By 2020, 71 percent of total IP traffic will originate with non-PC devices including tablets, smartphones, and televisions, compared to 47 percent in 2015. By 2020, smartphones will generate 30 percent of total IP traffic, while PC’s total IP traffic contribution will fall to 29 percent. Internet video will increase four-fold between 2015 and 2020. Consumer Internet video traffic will be 82 percent of consumer Internet traffic by 2020—up from 68 percent in 2015.
Business Internet video traffic will be 66 percent of business Internet traffic by 2020—up from 44 percent in 2015. Video surveillance traffic nearly doubled in the past year and will grow 10-fold by 2020. Virtual reality traffic quadrupled in the past year and will increase 61-fold by 2020. Online gaming will be the fastest growing residential Internet service, growing from 1.1 billion users in 2015 to 1.4 billion users by 2020. Mobile location-based service (LBS) will be the fastest growing consumer mobile service, growing from 807 million users in 2015 to over 2.3 billion users by 2020. Desktop /personal videoconferencing will be the fastest growing business Internet service, growing from 95 million users in 2015 to 248 million users by 2020. Globally, total public Wi-Fi hotspots including home spots will grow 7X from 2015 (64 million) to 2020 (432 million). Globally, home spots will grow from 57 million (2015) to 423 million by 2020. Expanded Wi-Fi access will enable a variety of scaling and optimization opportunities for network operators (more mobile offload, ubiquitous VoWiFi, smart cities, connected transportation and related IoT strategies). This trend also enhances quad play capabilities and provides additional access for TV everywhere services. The Cisco VNI™ Global IP Traffic and Service Adoption Forecasts for 2015 to 2020 rely upon independent analyst forecasts and real-world network usage data. Upon this foundation are layered Cisco's own estimates for global IP traffic and service adoption. A detailed methodology description is included in the complete report. Over its 11-year history, Cisco® VNI research has become a highly regarded measure of the Internet's growth. National governments, network regulators, academic researchers, telecommunications companies, technology experts and industry/business press and analysts rely on the annual study to help plan for the digital future. 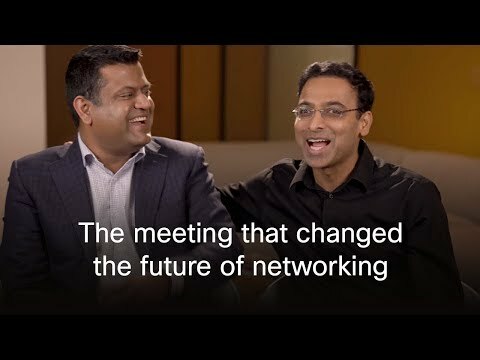 Cisco invites press, analysts and bloggers to attend a webcast featuring the Cisco VNI team reviewing the global impact of traffic growth for service providers and their consumer and business subscribers. The session is scheduled for Tuesday, June 14 at 8:00 a.m. (PDT) and can be accessed via the Cisco Knowledge Network registration site.